Last month, the Daily Mail website ran a story under the headline: Fury as Tesco offers large bottles of Budweiser for just 14p each on its website – only to cancel orders because the price was a mistake. The offer appeared as a Valentine’s Day special, for beer lovers everywhere. In another example, last Autumn, shoppers on Sears.com noticed that expensive toys (such as kids’ accessories and play sets that cost hundreds of dollars) were available for only $11.95. Nancy Kim on ContractsProf Blog explains many of the contract law consequences of this mistake. The image on the left is based on screen grabs taken by @jimboireland and @WayneDoyle___ (click through for a bigger size). 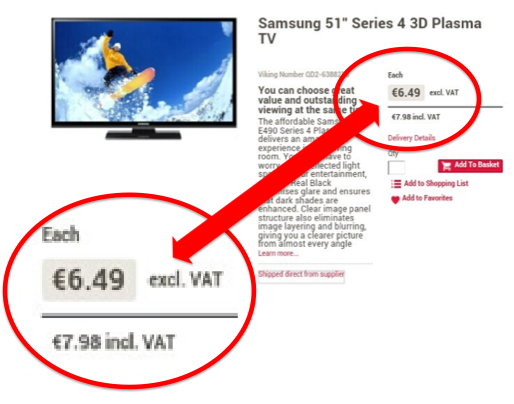 It shows a ‘samsung 51″ series 4 3D plasma tv’ for sale on a retail website for “€6.49 plus VAT” (I’ve zoomed in on the price, just to make the point). This offer looked like it was too good to be true; and that’s exactly what it was – too good to be true. The €6.49 was a typo for €649. I have blogged about similar mistakes on the part of United Airlines, Aer Lingus, Dell, Best Buy, Arnotts, and Round Hall. This time, it was VikingDirect.ie – and, as the Irish Times and The Daily Edge are reporting, they have apologised to their customers, but are not going to honour the sale of the televisions at 1% of its retail price. We are in the process of contacting those customers who placed an order for the wrongly priced television to advise them of the misprice and their impending refund. We would like to apologise to our customers for any inconvenience this has caused. if the offer is too good to be true, it probably is. Nevertheless, if I were one of the customers, I think I’d rather have the television than the apology. What about my credit note or gift voucher? We are still honouring credit notes and gift vouchers throughout this process. We don’t want our customers to lose out. Update (12 Feb 2013): the High Court has today confirmed the appointment; and it was confirmed to the court that all vouchers, credit notes and deposits will be honoured by the company throughout the examinership period. This is a far more satisfactory approach than that taken in the context of HMV (see here, here and here). And the fact that B&Q can take this approach demonstrates that the Examinership process (or Administration, its UK equivalent) does not automatically preclude the company under the protection of the court from honouring vouchers. I hope we have heard that last of that particular canard, but I am not too sanguine that we have. Bonus (including updates and amendments through 12 Feb): The UK arm of HMV continues to demonstrate how not to handle an Administration; the Guardian and the Independent reported that HMV workers (or at least one of them) took over the official Twitter feed to vent their fury over sackings – there’s an excellent assessment on Forbes. Meantime, the Administrators have made all of the members of the Board, including the CEO, redundant; and they are seeking to do deals with suppliers and landlords, close unviable stores (update (21 Feb 2013): in two waves), and sell off non-core businesses such as nightclubs and other venues. 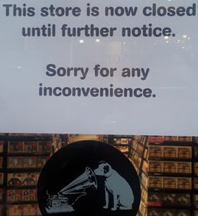 Update (12 Feb 2013): Meanwhile, the receiver of the Irish arm of HMV has been unable to find buyers for the 16 Irish stores. All of the stores were loss-making, due to online competition (cd and dvd retailers, as well as streaming and download services) and high levels of rent. The shops will not be reopening; the employees, who had been laid off temporarily, will be made redundant; and the chain will be liquidated. This is a sad day for the employees, and a sorry end to a great business. 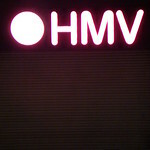 There have been many developments today in the HMV vouchers saga about which I blogged yesterday. I argued that HMV’s vouchers, tokens, gift cards, and the like, were valid, and that National Consumer Agency (the NCA) should have been vocal and active in support of consumers in possession of vouchers which HMV had been refusing to honour. Having monitored the situation yesterday, the NCA sprang into action this morning. They questioned the basis upon which gift vouchers, tokens, gift cards, and the like, were not honoured in HMV’s Irish shops yesterday; and they met with representatives of HMV. However, it was too late, and it was all for naught. 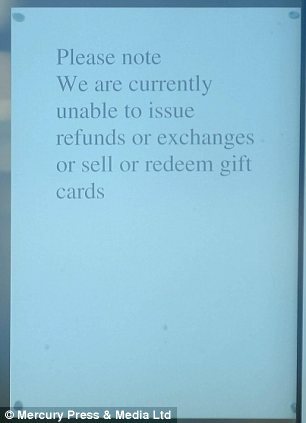 HMV’s Irish shops did not open their doors this morning (the notice, right, was on the front door of HMV’s Grafton Street shop this morning). This meant – among other things – that it was not practically possible to redeem vouchers, whatever the legal position as to their validity. Then, it emerged during the day that the Irish operation was going into receivership (and not Examinership, the Irish equivalent of the Administration regime to which the UK operation is subject). This definitively means that vouchers are now effectively worthless, just like the claims of other contractual creditors (including the claim to the proceeds of a charity single). Worse, the Consumers’ Association of Ireland called yesterday for legislation to protect consumers with gift vouchers which had been issued by now-insolvent retailers, but the Government has today ruled that out. 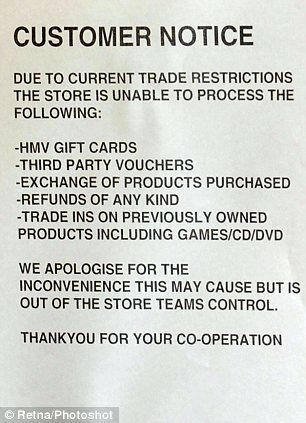 Many of HMV’s UK shops have been displaying notices saying that they were unable to issue refunds or exhanges, or sell or redeem gift cards, or take trade-ins of dvds, games, etc (though in practice, they seem to be honouring their statutory obligations to refund or replace in the case of faulty goods). Passions have been running understandably high over the decision taken on Tuesday by the Administrators of the UK operation not to honour vouchers (which had been for sale up until the previous day). 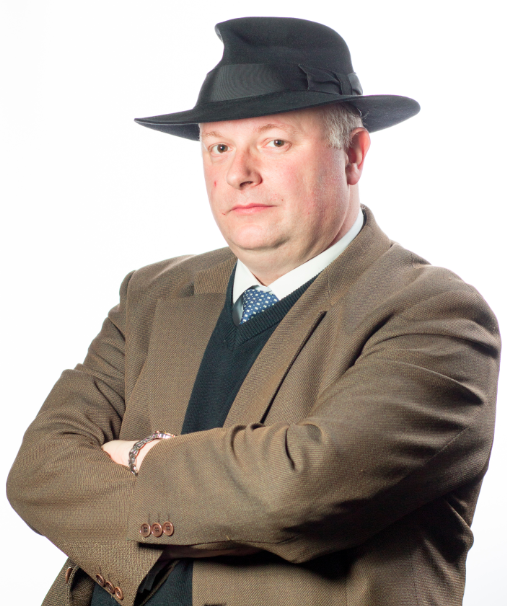 A UK politician and consumer advocate have likened the refusal to honour vouchers to theft. Police were called to a HMV store in Oxford after a “minor dispute” broke out when two customers were told they could not use their gift cards. A grandfather walked out of the HMV shop in Henry Street in Dublin with three computer games after staff refuse to accept a gift voucher presented by his grandson to purchase the games. Good for him, but I wouldn’t recommend this. I can understand that irate customers wanna scream and shout and let it all out, but I think it unfair to make the staff on the ground (whose jobs are in jeopardy) to bear the brunt of consumers’ ire over decisions taken by Administrators. You shouldn’t have to shout, shout, let it all out – which is why prompt action by the NCA (and the OFT in the UK) is much the preferable route to resolve such issues. Chapter 7 of the Copyright Review Committee‘s Consultation Paper considers whether the Copyright and Related Rights Act, 2000 (also here) creates barriers to innovation by users (update: you can download a pdf of the Paper here (via DJEI) or here (from this site)). This is the longest chapter in the Paper, and it raises a great many issues. Innovation is traditionally presented as a linear top-down process where innovation is the sole preserve of the producer, but it is increasingly an iterative and interactive one in which users play increasingly important roles. This is particularly so online, where technology is making it increasingly easier for users to innovate, and for that innovation to be based upon the transformation of existing content. Chapter 4 had earlier considered the centrality of rights-holders in copyright law, but the law recognises other interests as well, and seeks to balance the interests of rights-holders in protecting their monopoly against other legitimate interests in diversity. In particular, by protecting only “original” works, by preventing only “substantial” infringements, and by providing a range of exceptions, copyright law accommodates interests other than those of rights-holders, such as those of users. One of the main questions for the Review is whether the copyright balance between rights-holders and users now requires further amendment, in particular to incentivise innovation. Like the old joke about buses, you wait for ages, then three come along at once. 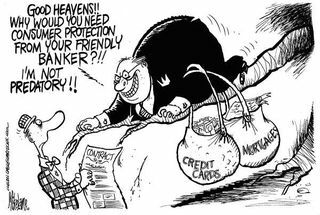 So it is with consumer protection initiatives. There have been three in the past week. First, the EU Commission last week proposed a new Directive on Consumer Rights, which would merge various existing Directives and update and modernise EU consumer protection rules (hot on the heels of a slightly broader proposed Common European Sales Law). Second, the Minister for Jobs, Enterprise and Innovation yesterday announced the enactment of a comprehensive Consumer Rights Act, implementing the Report (pdf) of the Sales Law Review Group. 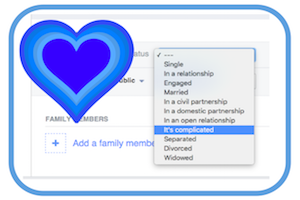 As with the new Directive, the new Act will also merge various existing Irish pieces of legislation, and then update and strengthen Irish consumer protection law. Third, the Central Bank of Ireland today published a revised Consumer Protection Code (pdf), to ensure that consumers are adequately protected in their dealings with financial institutions. This is all very welcome, and I look forward to when these three initiatives come into force.